Buy online Pax 3 Vaporizer | Loose Leaf + Extract - Complete Kit - Gloss Rose Gold in the Vape store | Vawoo.co.uk! 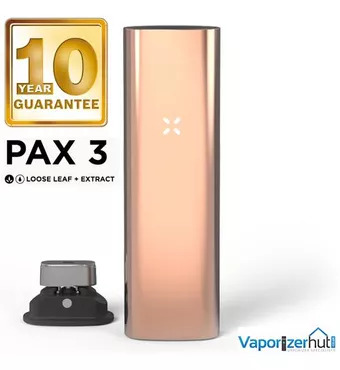 Minimum quantity for "Pax 3 Vaporizer | Loose Leaf + Extract - Complete Kit - Gloss Rose Gold" is 1. I have found this product recently. I was told a lot about its features and wanted to get it. The device has various upgrades with this model as well and this includes the medical grade materials that are in the air path and haptic feedback. This is a modern device which can make vaping better and easier.